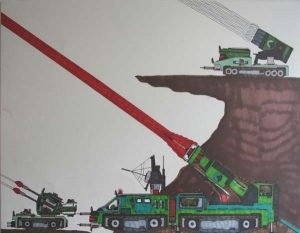 James Wong, a Chinese American self taught artist has been working non-stop for the past thirty years on his Future War marker drawings. 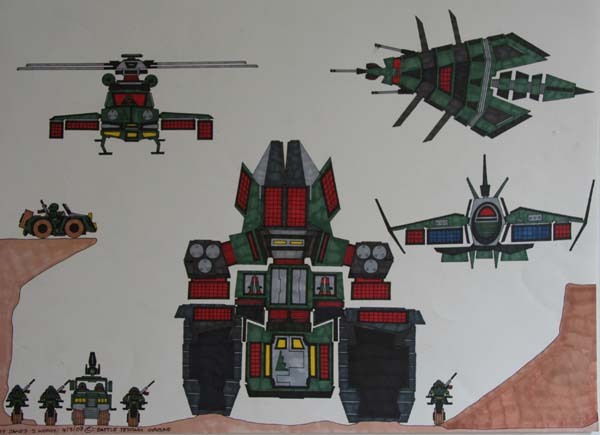 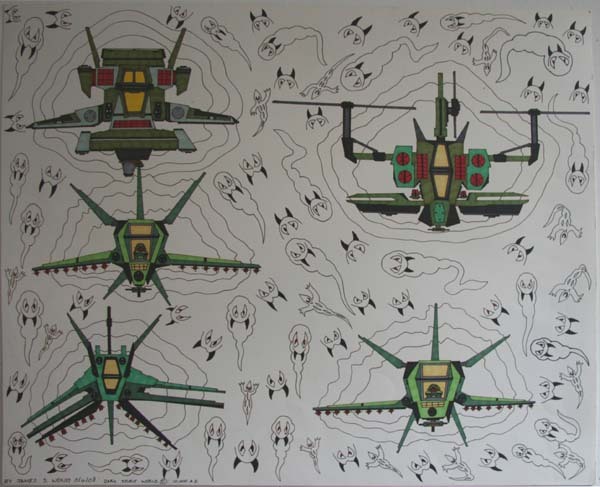 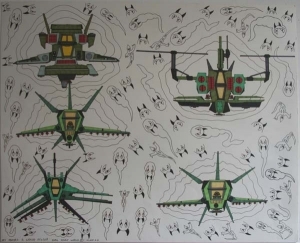 This exhibition, James Wong: Invasion of the Pods features his recent large multi panel works and the proliferation of pods– small drone-like one-man ships. These works range from two feet to eight feet long in a narrative comic strip format.